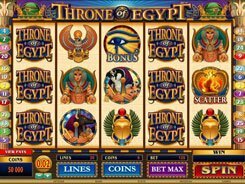 This 5-reel 20-line slot powered by Microgaming is themed around Ancient Egypt and it features two wild symbols, five scatters and free spins. 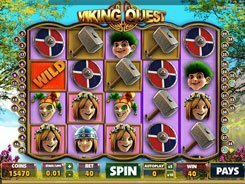 Betting up to 5 coins per line, you can place a stake anywhere between $0.01 and $50 per spin. The symbols include richly adorned playing cards and themed imagery like Isis, pharaoh’s tombs, Osiris, etc. 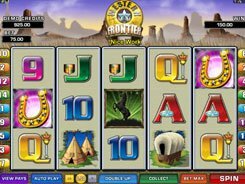 There are two wilds in the slot, each having different multipliers. The symbol with ‘Double Wild’ printed on it substitutes for other non-feature icons and doubles payouts when substituting. 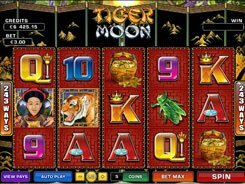 The Triple Wild symbol does the same, but multiplies winnings by x3. 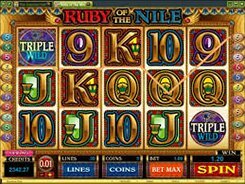 As mentioned above, Ruby of the Nile comes with five scatter symbols. 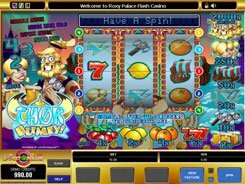 One of them depicting the Tomb activates up to 20 retriggerable free games with all payouts doubled, provided you hit the Tomb symbol in the center of the fifth reel. The remaining four scatters do not act as feature-triggering symbols. Landing three or more identical scatters anywhere on the reels award up to x100 a total bet per spin. PLAY FOR REAL MONEY!